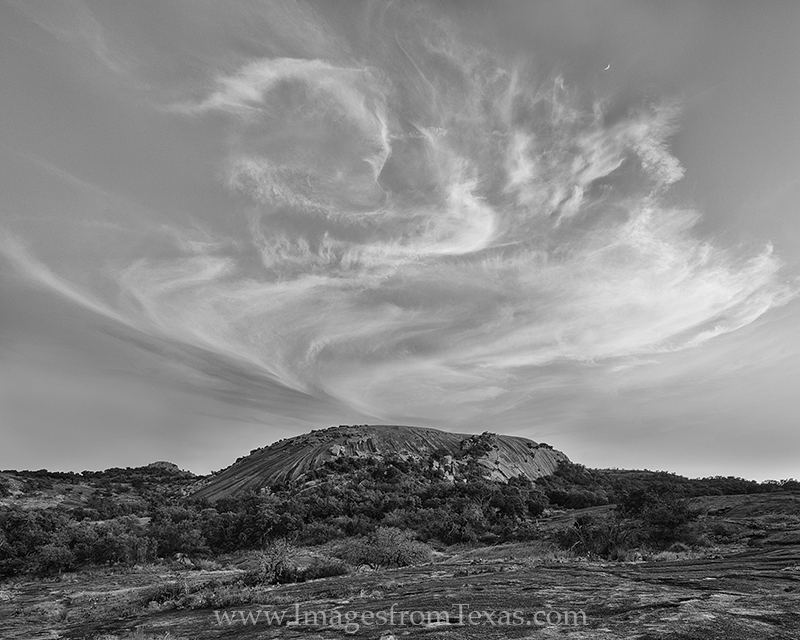 I usually prefer color, but when the sunset is blessed with clouds like this over one of my favorite Texas Landscapes - Enchanted Rock in the Hill Country - I always like to see how a black and white conversion works for an image. In this case, I loved the clouds, the setting crescent moon, and the iconic granite uplift in the foreground. Photo © copyright by Rob Greebon.